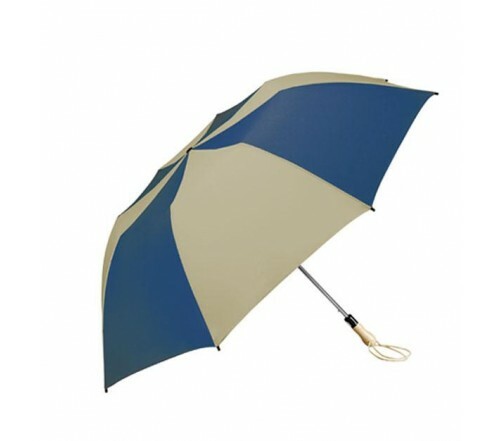 Personalized navy & khaki 58” arc traveler auto – open umbrellas are usually sought by marketers, who are using this color profile in their brand themes or those who wish to create severe dents in peoples existing brand consciousness by positioning their products. 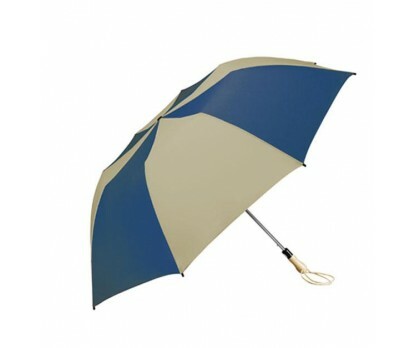 This umbrella attracts anyone with its overpowering features such as–sturdy wooden handle, 58” arc navy and khaki canopy, and metal shaft. Dimension – 58” arc closes to 22”. Imprint area – 12 1/8” W X 11 3/4 H X 6” Top. This umbrella will easily show up from crowd due to its extra impressive color profile.